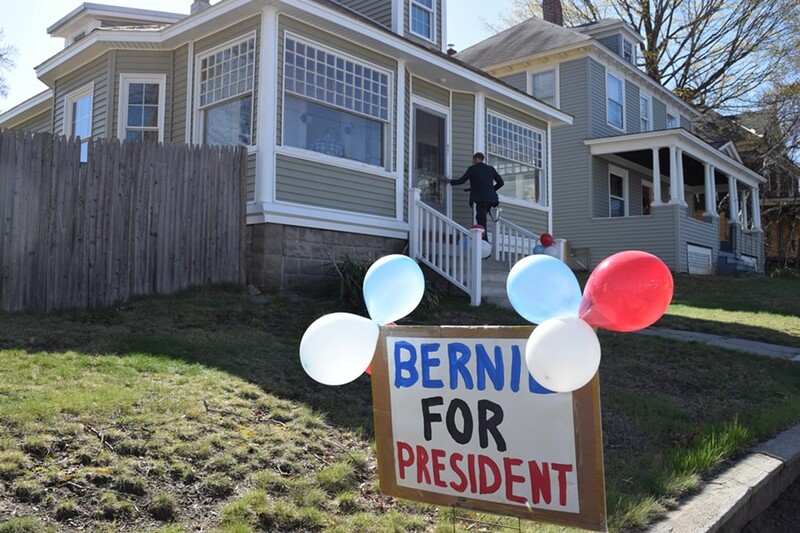 Sen. Bernie Sanders' first house party in New Hampshire earlier this month. Sen. Bernie Sanders is taking his presidential campaign back to New Hampshire and on to Iowa at the end of the month, right after his May 26 campaign kickoff in Burlington. Sanders officially announced late last month that he is seeking the Democratic nomination for president, and he then made a quick trip to New Hampshire. 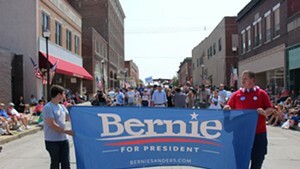 He has yet to visit Iowa as an official candidate but made several trips there before his announcement. May 27: Noon at New England College in Concord, N.H.; 5 p.m. house party at the home of Kathryn Williams and Brant Hardy, 277 Main St., Epping, N.H.; and 7 p.m. at the South Church in Portsmouth, N.H.
May 28: 7 p.m. at the Rogalski Center, St. Ambrose University, Davenport, Iowa. May 29: 3 p.m. at Strahan Hall, Muscatine Community College, Muscatine, Iowa; 7 p.m., House party at the home of Dave Johnson and Jennie Embree, 326 N. 4th St., West Branch, Iowa. May 30: 10 a.m. at Robert A. Lee Community Center, Iowa City, Iowa; 5 p.m. at Kensett Community Center, Kensett, Iowa.